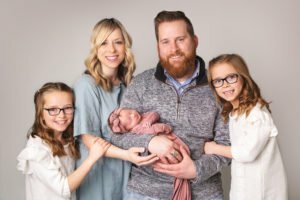 Father’s Day is coming up and I wanted to put it out there that Father’s Day might be just as hard for men, as Mother’s Day can be for women who are affected by infertility. Surprised? Did you know? Had your thought about it? I’ll admit sometimes I haven’t. On Mother’s Day we see beautiful quotes stating that you don’t need to have a child to be a mother. And there are caring and thoughtful blog posts written reminding the childless women that they are not alone and that they are just as much mothers as the ones who have children. But men affected by infertility have feelings, emotions and they hurt, too. I think so often men feel the need to be strong for their wife, and they are often the ones holding up their spouse emotionally, and physically during the pains of infertility. Because of this, sometimes we might forget that even though they might hold in their emotions, it doesn’t mean they aren’t experiencing feelings of sadness, depression, anger and hurt, too. Just like all women can be a mother- with or without children- I want to remind everyone that all men can be fathers, too. And Father’s Day might just be a tender day for them as well. 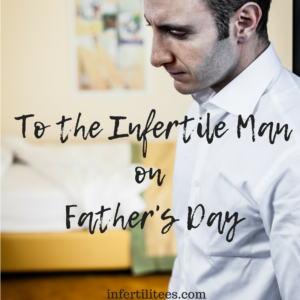 Even if they don’t shed tears, or talk about it openly, I hope we can all be a little more sensitive on this day to our husbands, brothers, sons, uncles and friends who might have that agonizing hole in their heart that infertility can bring. I found the following poem and thought it was so eloquent. These are qualities you can posses without even having a child of your own. I also found the following quote and knew I needed to share it. I believe there are so many wonderful and kind, caring, nurturing, compassionate, loving, talented and generous men in this world. And any man who possesses those attributes and uses them for good is very deserving of the name father. For reasons we may never know, some men may never have children of their own. But I hope they know what an important and vital part they can play in any child’s life. Whether it is with a niece or nephew, or a child from the neighborhood or church congregation- they can be a positive influence and make a lasting impression and touch many children’s lives. With Father’s Day coming up I want to express my acknowledgment to the men who long to be a father, to the men who might have children but yearn for more, and to any man who feels a tug at the heart when his righteous desires of adding children to his family is not being fulfilled in the way they hope- you are not forgotten. And I admire and respect you. You are what we call an “infertility warrior”- and you are celebrated today because you hold the desire in your hearts to be a dad and because even if the role of fatherhood isn’t what you imagined, you have so much to offer and so much goodness to share with others. Remember, the title of fatherhood is more than biological, and it is something that can be attained by simply being you.